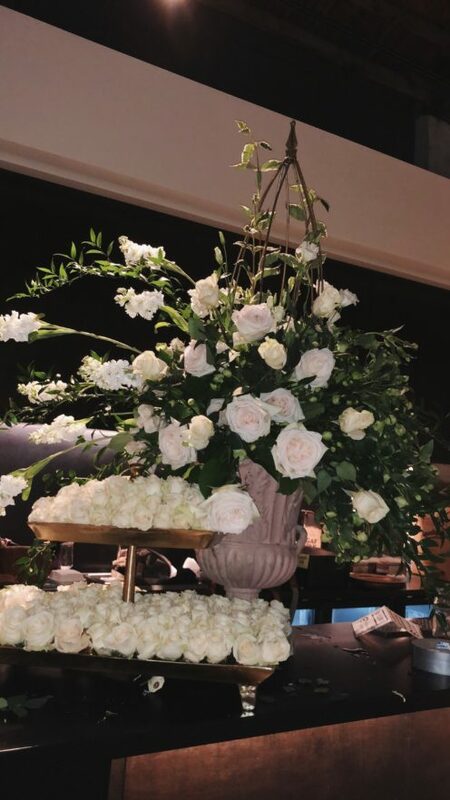 I been trying to think of the right way to start this blog post, and I have come to the conclusion that there are not enough words to express how unbelievably grateful I am for our florist, but I will try my best in this post. 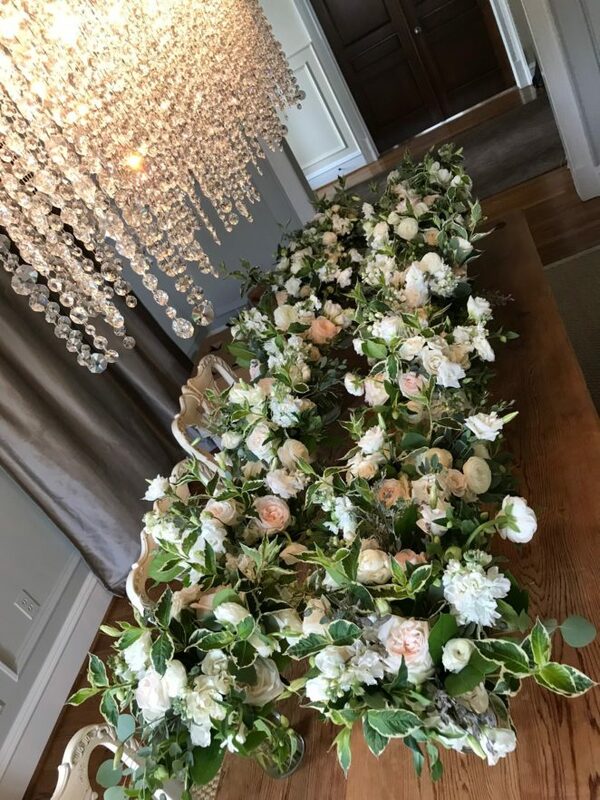 From previous posts you all have seen the amazing Tanarah Luxe Floral team. 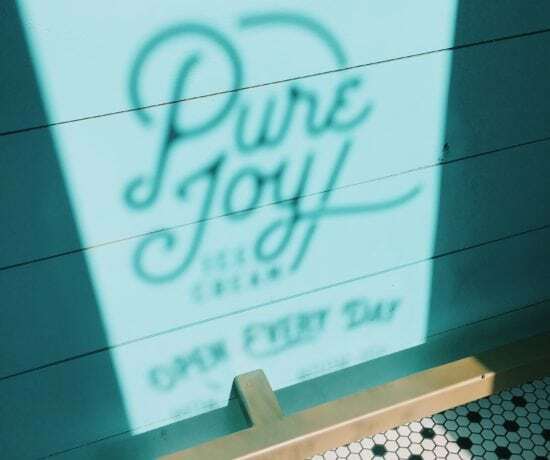 You can check out this post to see the first time I toured their warehouse. 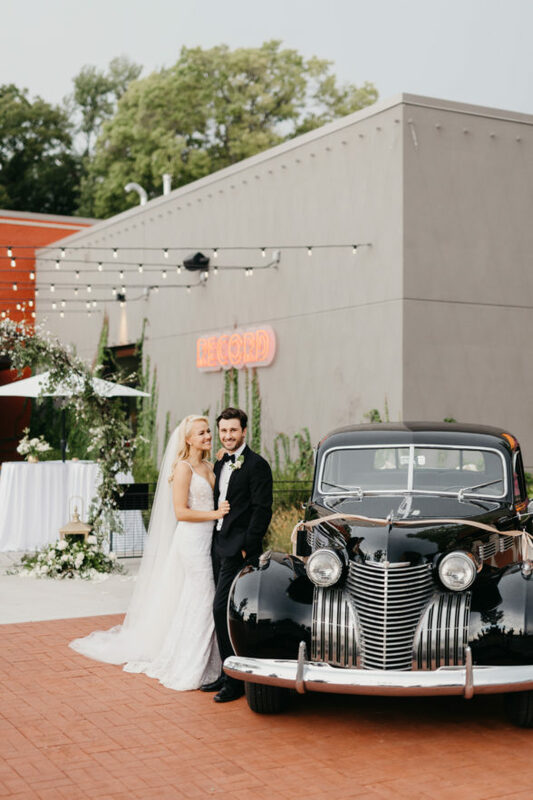 Through the prep work and the creative process, they cared so much about Nate and I throughout the entire wedding journey. Even though I knew how amazing and talented the team was, when I got to the Record the day of our wedding, my mind was blown. 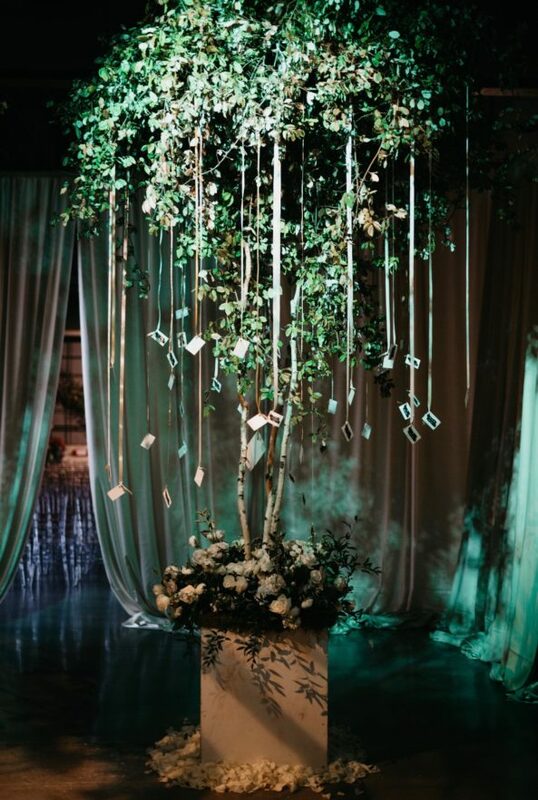 From the moment we stepped into the venue it felt like we were transported into a dream like world. The art installation they created cascaded into every single room with florals dripping from the ceilings, thousands of rose petals perfectly scattered on the floor, and had me crying the whole entire time. 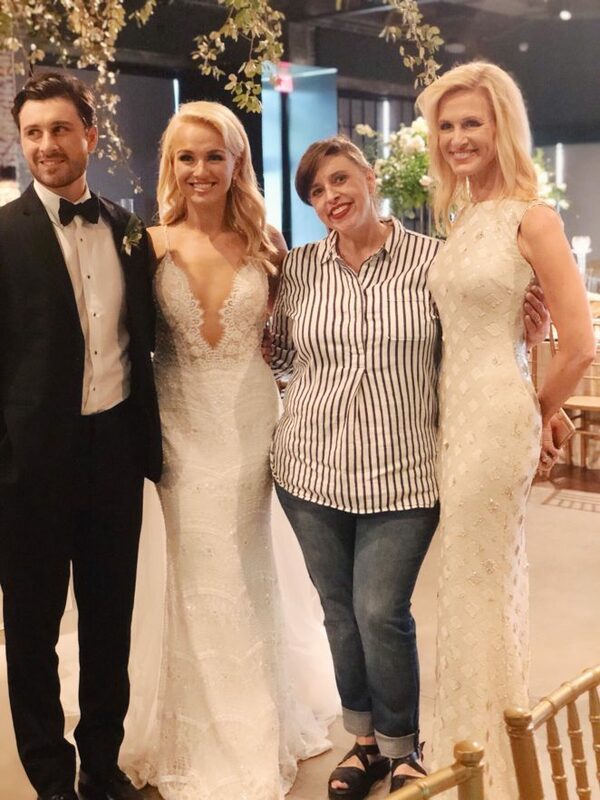 This photo was taken right when we entered The Record pre-ceremony and saw what amazing creation this Wonder Woman, Tanarah, and her team had worked on for so long. Can not speak highly enough about this woman and her mission to bring dreams into reality. 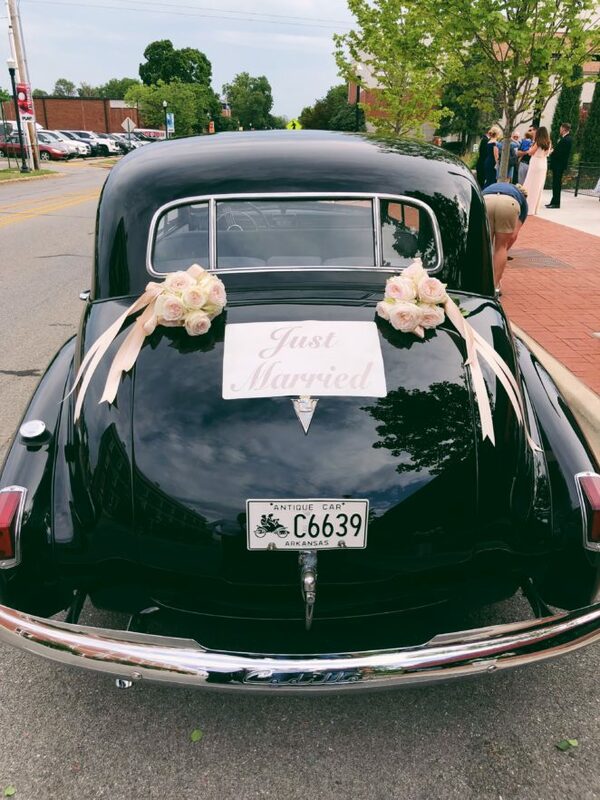 Another sweet detail, our getaway car (pictured above), is owned and driven by Tanarah’s sweet husband. Check out @vintage_motor_cars. 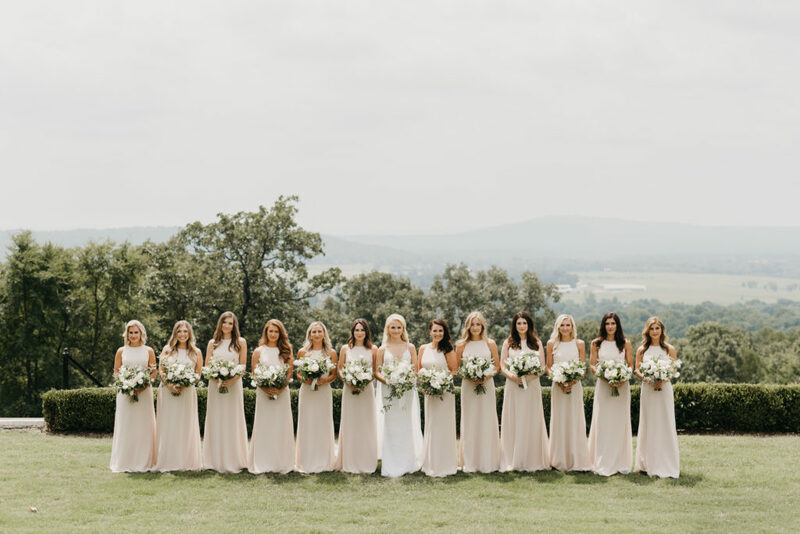 Bridesmaids and bouquets! 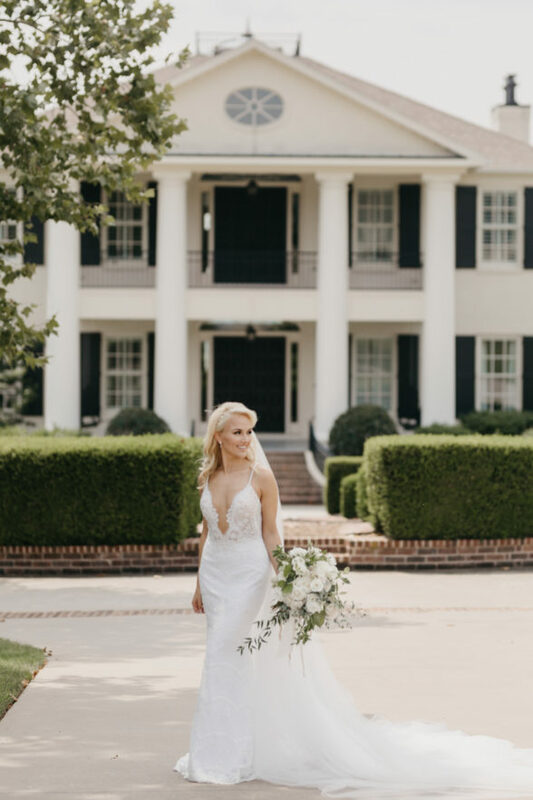 Dresses by Tesori and Hayley Paige Occasions. I tear up every single time I look at this photo so perfectly captured by the Hickenloopers. The first time I saw it before the ceremony my heart melted. 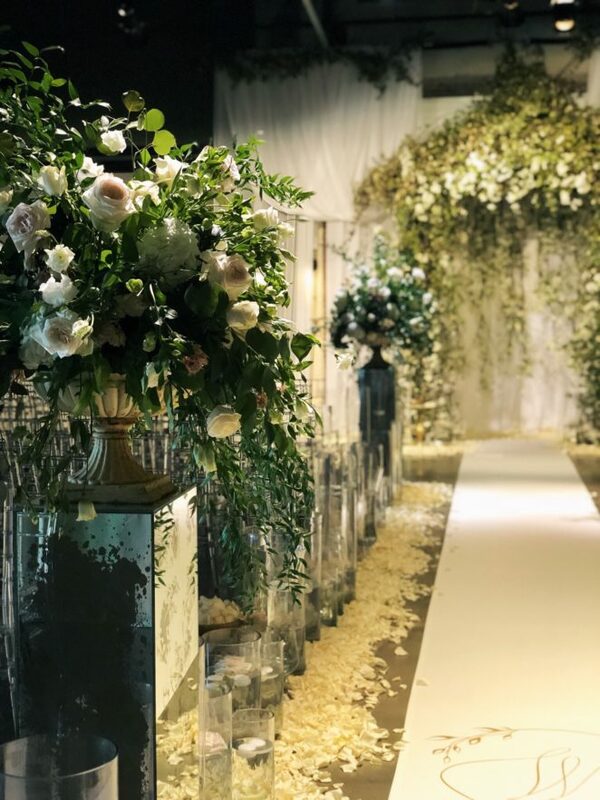 I told Tanarah that my dream wedding would feel whimsical, dreamy, and elegant, like the whole room was covered in roses. But what she and her team created brought more than I could’ve imagined to reality. 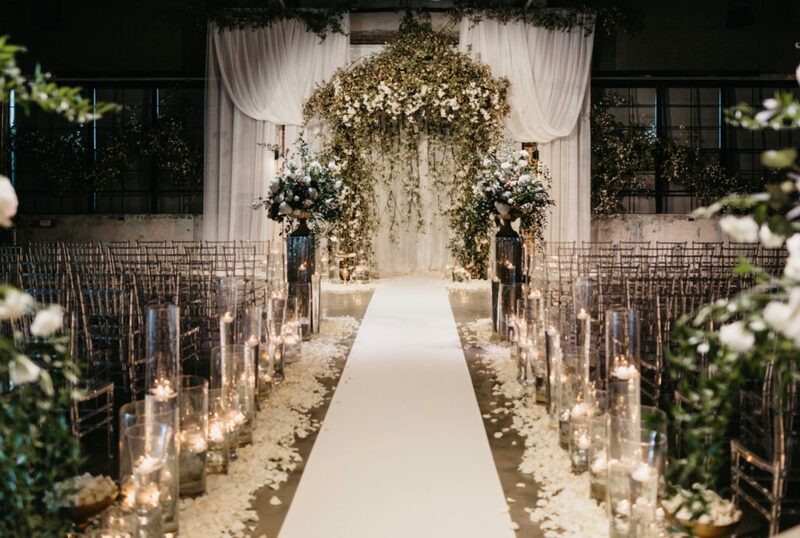 From the thousands of rose petals that laid over the entire floor, from our amazing friends at Passion Roses, the canopy of flowers at the alter, all lead up to the feeling that the whole space was being over grown with floral. I mean oh my goodness graciousness. Passion Roses provided the long stem red roses when I was crowned Miss America, and they were so kind to be a part of this special day as well!! Also, appropriate to note the custom artwork by Original Runners. 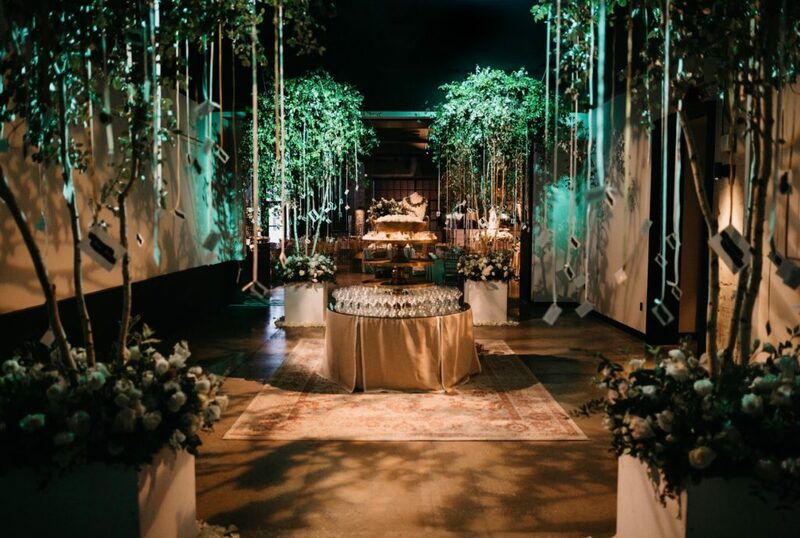 Now let me tell you all about the infamous “Tree Room/Magic Forest/Seating Card Room.” With the help of inspirational dreams, our unbelievably creative wedding planner Amanda Reed, and the floral team of my dreams- we created this. 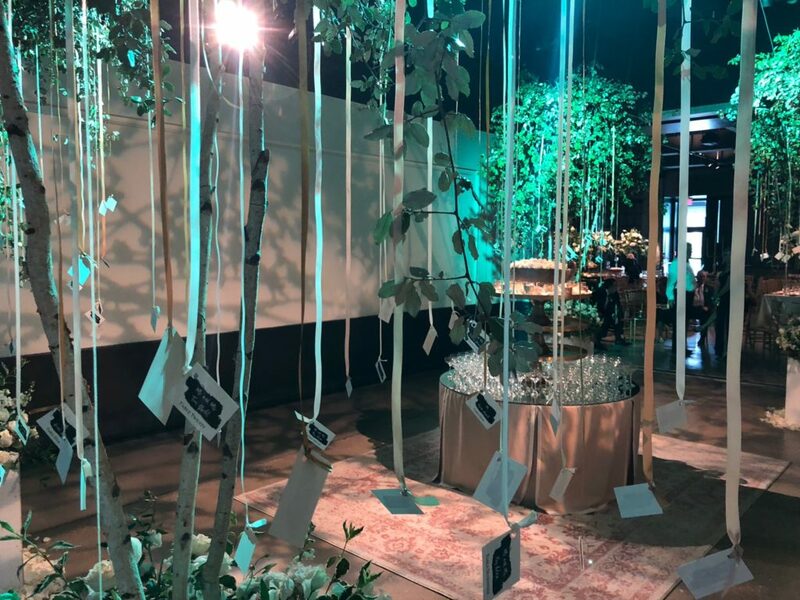 In between the ceremony space and the reception our guests walked through this forest where their names and table numbers where hanging from these trees by gold ribbon. 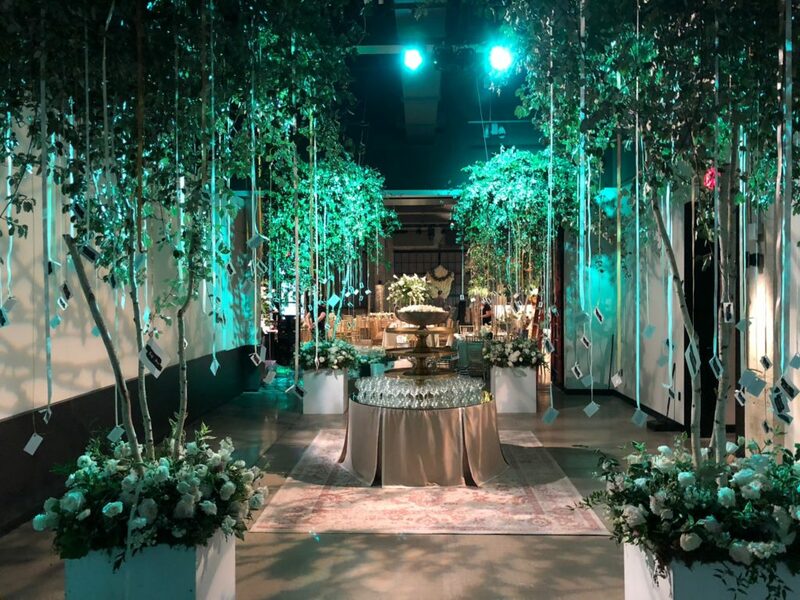 Also, guests would grab a glass of champagne as they made their way to their tables. This was one of the moments I was most excited for! And walking through it was even dreamier than I imagined. 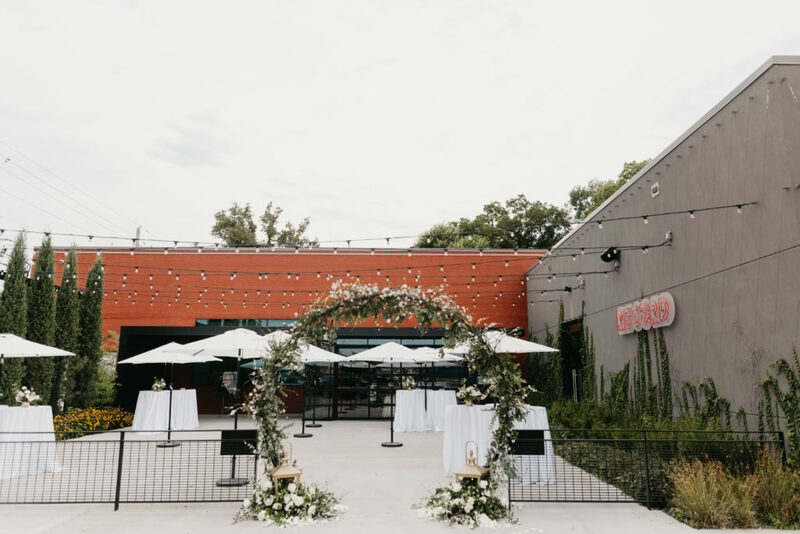 It also became a place where everyone hung out during the reception, while they weren’t dancing. 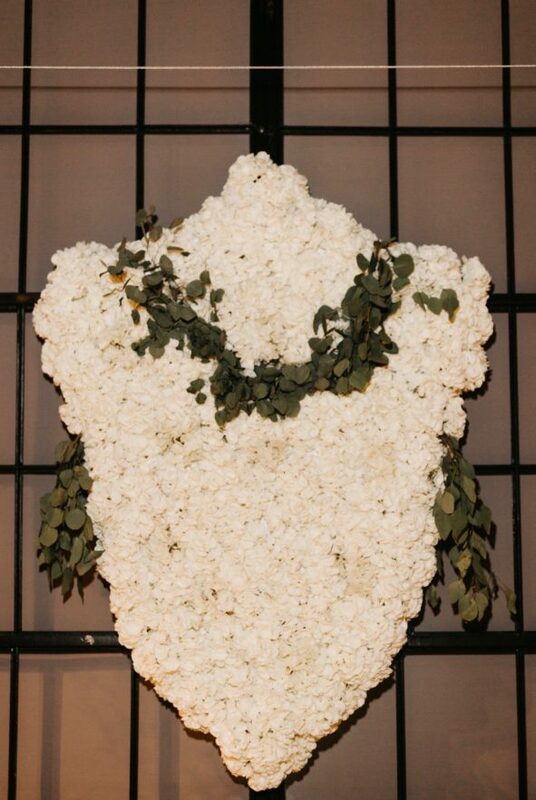 I mean down to even detail of creating a pile of rose petals under each tree, can Tanarah please do floral for my whole life?? 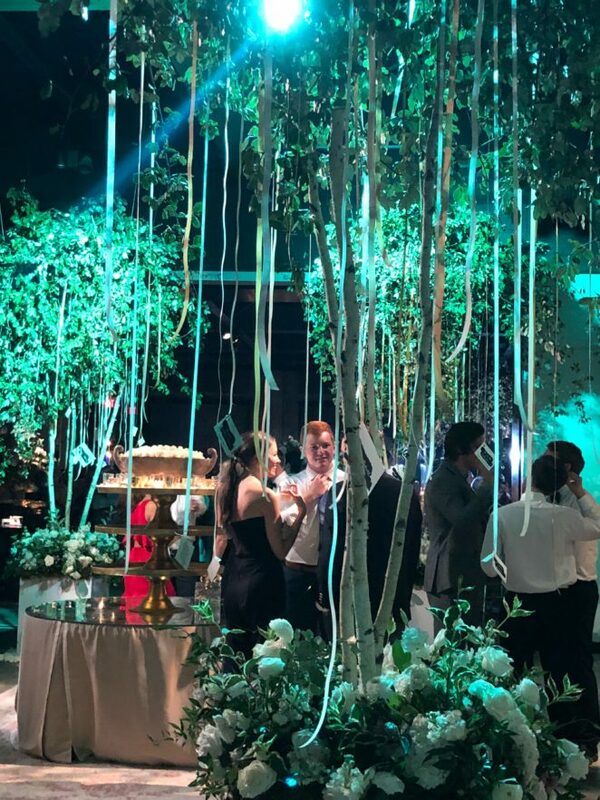 After the Magical Forest all of our guests walked into the Magical Reception! 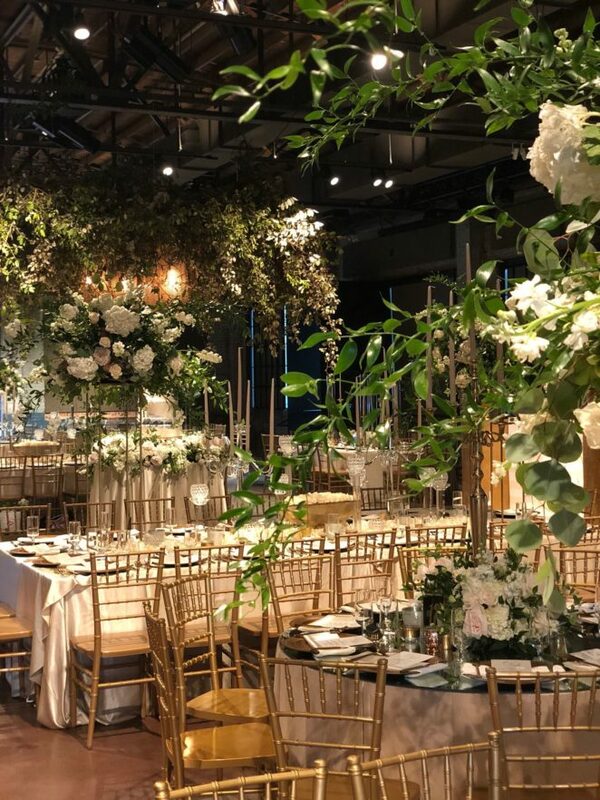 From the beautiful level changing centerpieces, the unreal hanging centerpiece above the dance floor, the details on every wall, I never wanted to leave! Check out the shield in the background. Details below. And then, THIS! I did not know about this detail until I arrived. Hanging on 2 large window space areas are these floral SHIELDS. I mean they made such a statement and such a cool personal touch. I will never be over it!!! Eventures provided chairs, silver and glassware. Cake and floral. Also notice the awesome job Amanda did with DJ Derrick’s space in the background. I loved how all of his equipment was covered with the floral and the monogrammed “W” just like the runner! So clean and crisp looking!! BTW, DJ Derrick was the BEST BEST ever. Cake by Shelby Lynn’s Cake Shoppe. More floral details. Corner of the bar space. 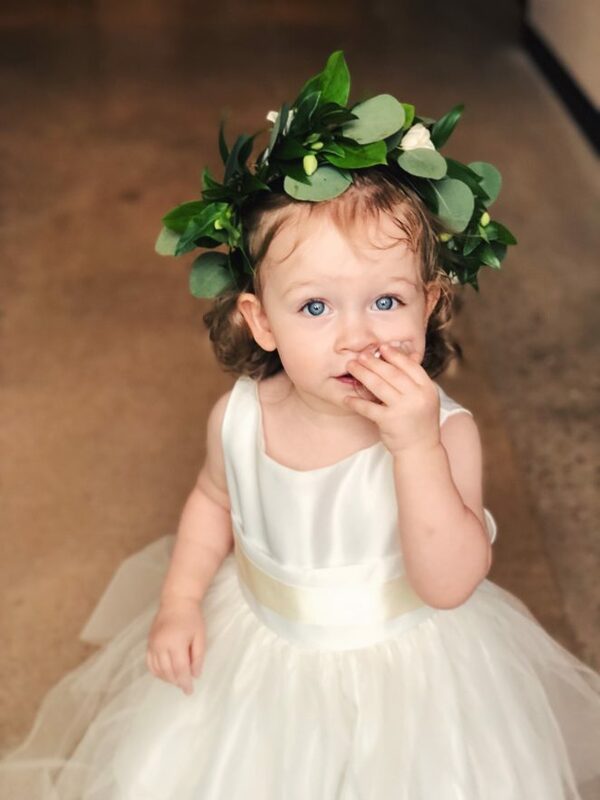 The cutest flower girl/niece in the history of weddings. I can’t leave of this gorgeous entry way they created at the very front of the The Record for all of the guests to walk into as well! 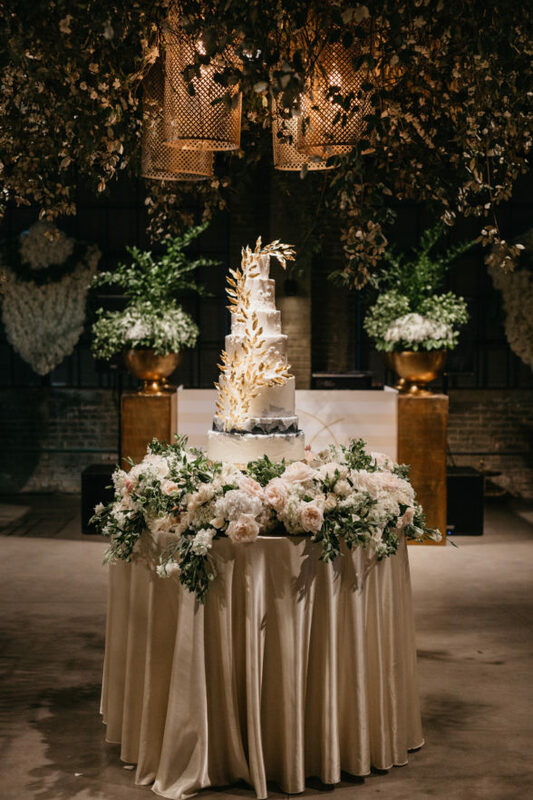 Tanarah Luxe Floral’s attention to detail, creative talents, ability, and the love they give every project adds up to them being a dream making machine. Every creation was so much better than I could’ve imagined, and I am so beyond thankful to have gotten to see their magic first hand. 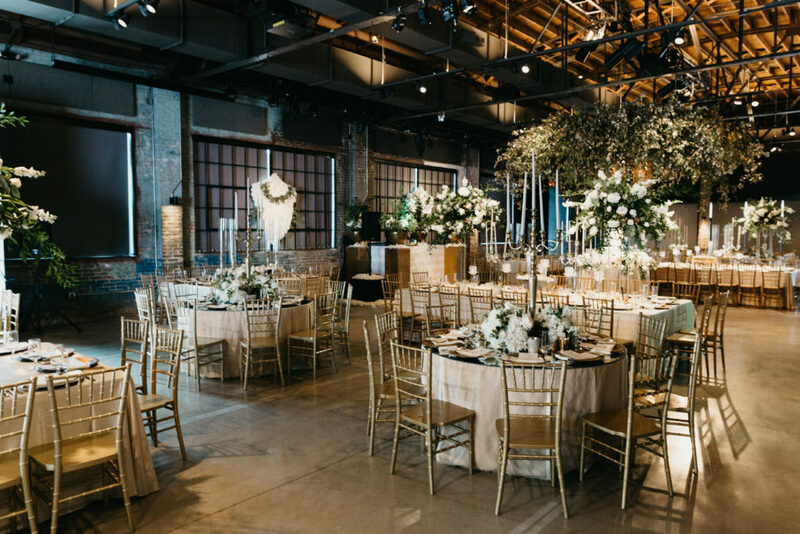 This was an area I just let them design how they wanted and I thought the entrance was so magical and made the industrial space so dreamy. You all need to check out there website to see more of their amazing work! ahhhmazing!!!! No other words necessary. ?